I have never tried to stick to a budget while planning a birthday party. I go overboard everytime! I am sure that if I went back to see what I spent on past birthday parties it would be shocking. I LOVE to plan a party, love it! Lets talk about Olivia's past birthday parties! At one, it was a home party with a butterfly and flower theme. Very cute! I apologize for some of these pictures. I can't access my old pictures because our computer died a few months ago and we got a new computer. Thank goodness we did not lose the pictures, but Mike hasn't put them on my new computer yet. These pictures are of my scrapbook pages of the birthday parties. I don't know why some of the words are backwards on some of the pages?? But you get the idea! At two she had three parties, three cakes, three celebrations. She had a birthday party with just her playgroup, one big party and then one party with just us and her grandparents on her actual birthday. Three birthday parties was out of control and I said I would never do that again! 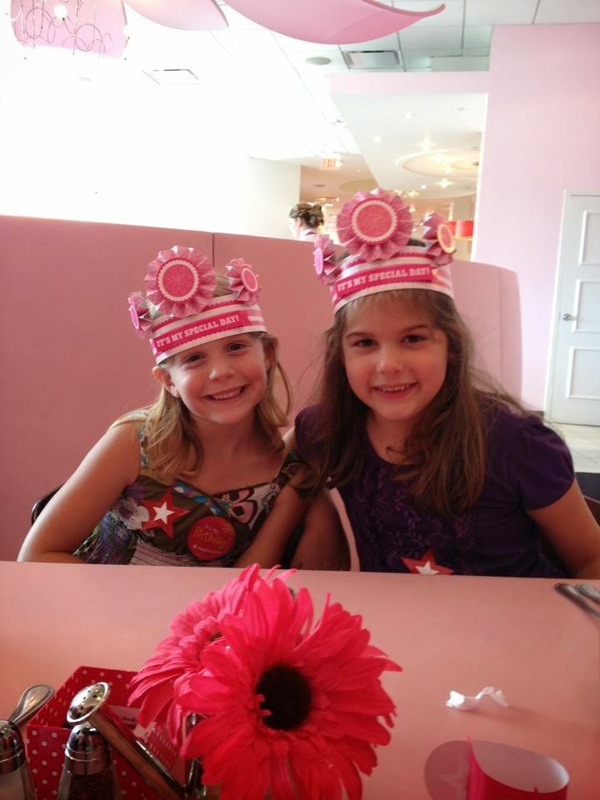 At three, she had a small princess tea party birthday party and then one with family. 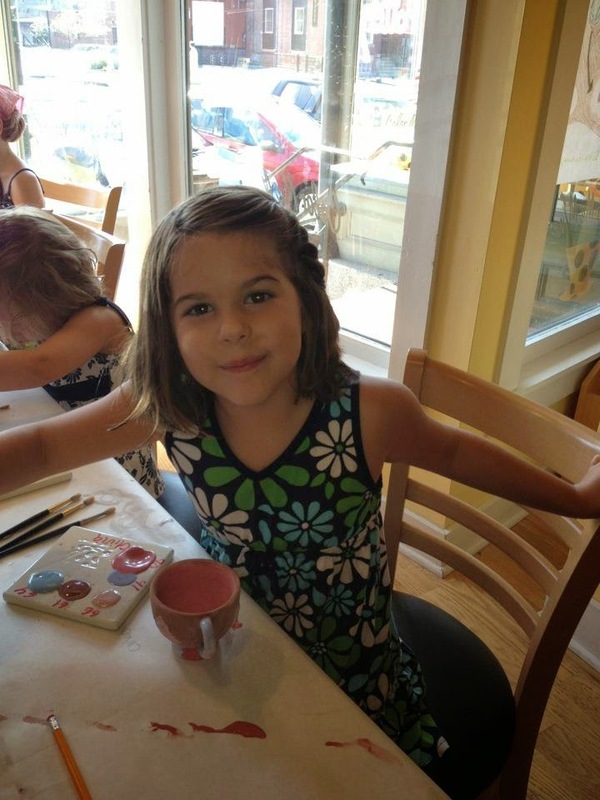 At four, she had a pottery painting party with friends and a party on her actual day with family. At five she had a Tangled party and it was awesome! This may have been the year it began to get out of control! At six she had a Build a Bear and Pizza Hut party. I couldn't find a picture from her party so this is her at her cousins party the summer she turned 6! Finally, at seven, she chose not to have a birthday party and to go down to the Boston American Girl store instead. We had a joint birthday party down there for just her and her cousin Grace. It was perfect and they loved it! This year we are doing a cupcake wars theme! Olivia loves to bake and she loves to watch cooking shows. So we are going to combine that into a birthday party. The girls will come and eat pizza and watch an episode of cupcake wars so that they know what the point of the party is, then they will bake and decorate cupcakes and make a display. I am giving myself a $200 budget for the party. As of today, I have spent 83.32. I still have to buy all the cupcake mixes, frostings and decorating materials for the cupcakes and the house, plates, napkins and the pizza. It will be a challenge, but I am going to try to buy all the rest for only $116.68! Now Owen, at one he had a caterpillar home birthday party. Super cute! Starting at two we did destination parties. 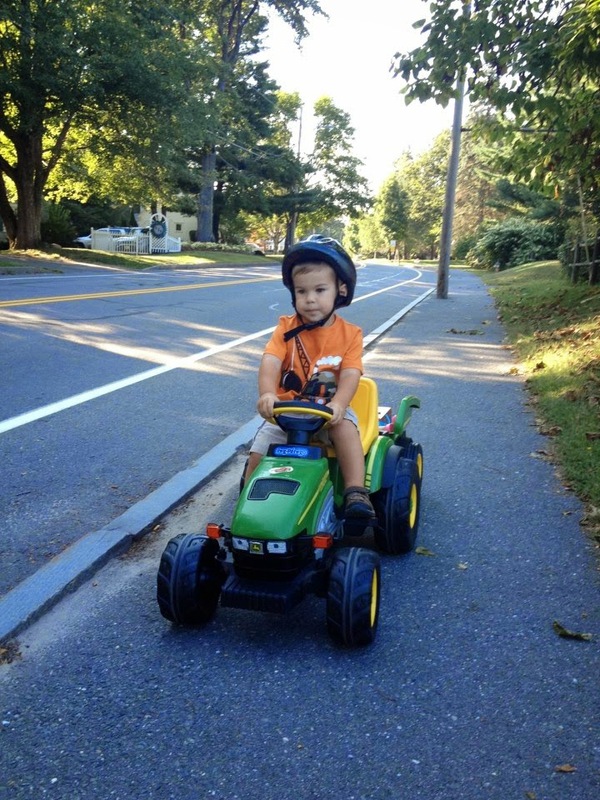 Owen loves tractors and farms so we did a party at Wolfe Neck Farm in Freeport. It was perfect for him! I couldn't find a picture from the party, but this is pretty much what Owen did all that summer! 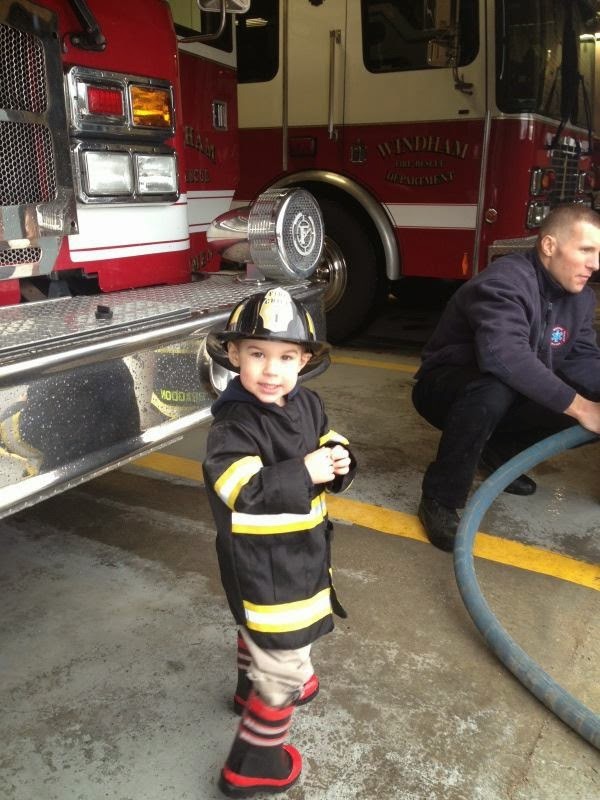 At three we did a fire station birthday party! This year we are doing a home party with a Star Wars theme! Owen is obsessed with Star Wars. We are doing a brunch, so we will be making breakfast foods, yogurt and fixins, shaped pancakes, cinnamon buns, fruit, etc. The kids will be doing some activities for "Jedi training" and of course cake and ice cream! As of today, I have spent $58.70. I still have to buy all the house décor and themed party stuff, food, pillowcases for costumes, tape for lightsabers, I am also giving myself a $200 budget for this party. Can I do it?? After each party I will do a full post on the budget breakdown and of course party recap!